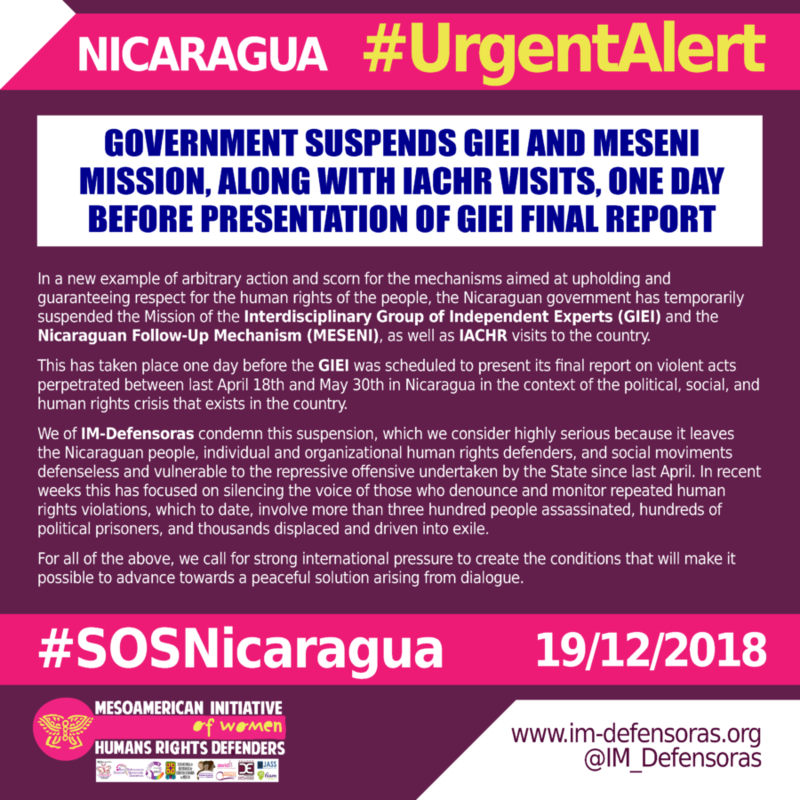 In a new example of arbitrary action and scorn for the mechanisms aimed at upholding and guaranteeing respect for the human rights of the people, the Nicaraguan government has temporarily suspended the Mission of the Interdisciplinary Group of Independent Experts (GIEI) and the Nicaraguan Follow-Up Mechanism (MESENI), as well as IACHR visits to the country. 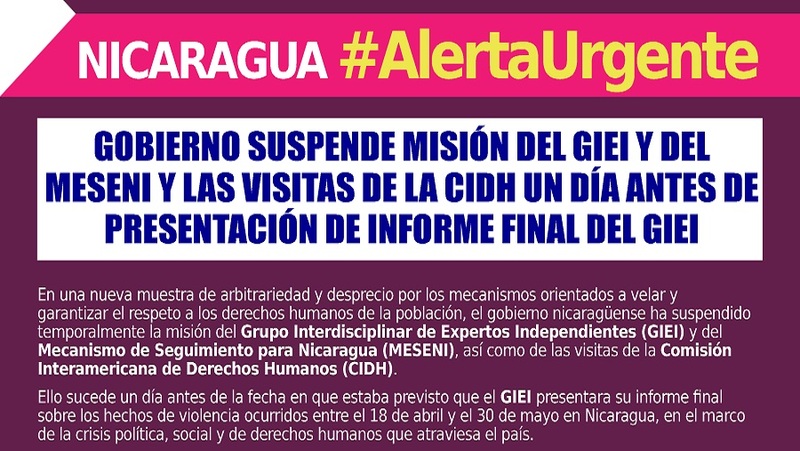 This has taken place one day before the GIEI was scheduled to present its final report on violent acts perpetrated between last April 18th and May 30th in Nicaragua in the context of the political, social, and human rights crisis that exists in the country. We of IM-Defensoras condemn this suspension, which we consider highly serious because it leaves the Nicaraguan people, individual and organizational human rights defenders, and social moviments defenseless and vulnerable to the repressive offensive undertaken by the State since last April. In recent weeks this has focused on silencing the voice of those who denounce and monitor repeated human rights violations, which to date, involve more than three hundred people assassinated, hundreds of political prisoners, and thousands displaced and driven into exile. For all of the above, we call for strong international pressure to create the conditions that will make it possible to advance towards a peaceful solution arising from dialogue.